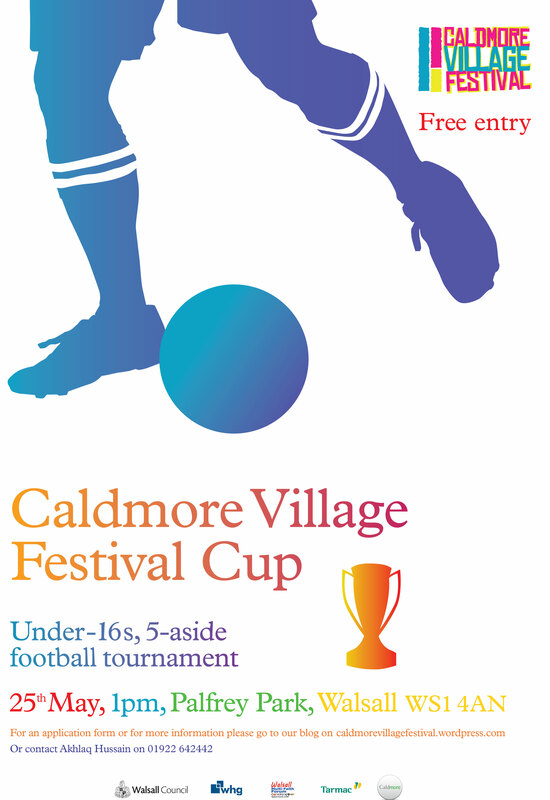 Caldmore Village Festival Cup – apply now with your team! All teams must declare their application forms by 19/05/12 which is 2 weeks prior to the tournament. Registration is fee per team. All teams must have a designated captain or team leader and must ensure that the team is within the age limit set, 13–16 year olds. Players using abusive or foul language will be penalised according to the rules set by the organisers. General 5 a side football rules will be used. All teams must register their attendance on the tournament day by 1.00 pm. Failure to register on time may incur deduction of points from group stages. Two additional substitutes will be allowed and substitution will be on roll on basis. No restrictions on number of times players are substituted. ← What a fantastic day at Caldmore Community Garden today! Hello, I just hear about the football competition today, and I’d like to know if I can still sign up a team? I didn’t know about this untill today in the papers.